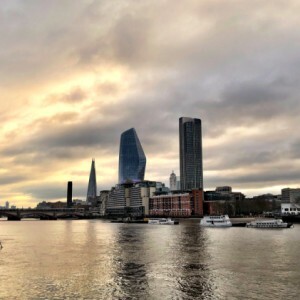 To go walking out in London City on a grey early Saturday morning reveals some of the many faces of the British capital. This is one of the least acceptable. 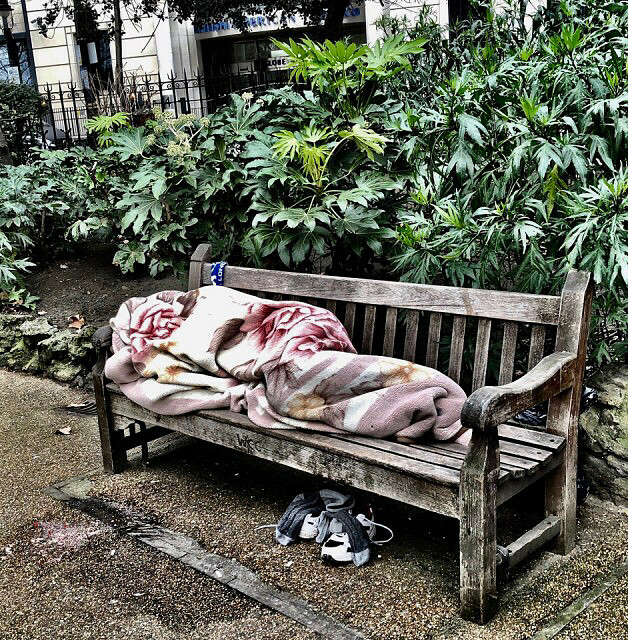 Every bench in these gardens along Victoria Embankment was occupied by a homeless person. Earlier I had walked past a man asleep, wrapped in filthy blankets, in a doorway a stone’s throw from the entrance to the Savoy Hotel, an image that perfectly captures the gulf between rich and poor. The wretched creature curled up on this bench is equally evocative, with his vomit coloring the ground at one side, his shoes and socks tucked away in the shadows beneath him. 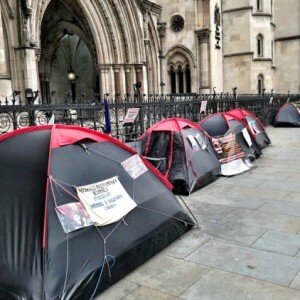 I also passed a tented protest outside the Royal Courts of Justice, as seen in the first of my extras. It is not an issue with which I am familiar, but the protesters camped outside the court appeared to be objecting to “forced adoption”. My additional extra is less contentious. 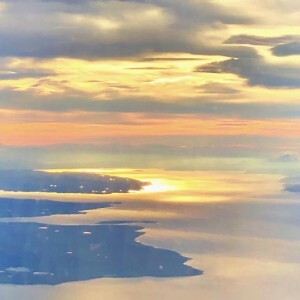 The River Thames at dawn.